Summary: Reissues of a deceptively naked '79 spaceman, an '84 castle warrior, an '89 colonial soldier, a '92 Charles Bronson-lookalike chef, and a '96 would-be General Custer = AWESOME! Summary: Recreate that iconic scene from Raiders of the Lost Ark: Sword vs. gun. Indy wins. Includes four minifigures plus various blocks for set design. Summary: Five soldier minifigures and five pirate minifigures on a LEGO baseplate replace X's and O's on a sheet of paper. Price: About $20, or $2 per minifigure. Since it is the month of August, Labor Day (and end-of-summer barbecues) is right around the corner. Of course, the Northern Hemisphere summer ends at the Autumnal Equinox in late September, but for many, it feels like summer ends right after Labor Day. 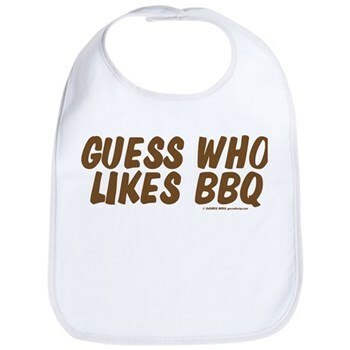 Instead of lamenting the end of summer 2009, we say celebrate with our Guess Who Likes BBQ design! Summary: Just in time to close out the summer: A chef, his grill, ketchup, mustard, and more!